What if I told you that you could help twice as many animals with your donation this Giving Tuesday -- would you be interested? Five times as many animals? Ten times? How about one hundred times as many animals? Using years of research, our team at Animal Charity Evaluators (ACE) has produced a list of recommended charities to help you maximize your impact. We work to find and promote the most effective ways to help animals. We do this by evaluating interventions commonly used to help animals, evaluating animal charities and providing advice to the general animal advocacy community on how to be most effective with their resources. ACE adheres to the concept of "effective altruism," which essentially means doing the greatest good with your time and money. 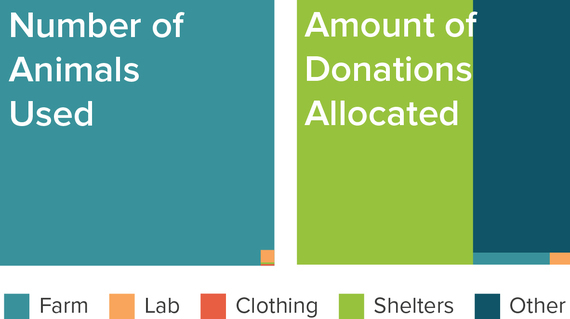 Given the state of our charitable donations -- only 3% of donations in the U.S. go to a blend of either animal charities or environmental groups - animal advocates need to think carefully about where they direct their limited resources. Of all the animals killed in the United States, 99% are farm animals; despite this, charities that focus specifically on this area receive less than 1% of all funds donated to animal advocacy as a whole. On top of those numbers, it is likely that farm animals endure the greatest amount of suffering given that the vast majority are raised in abysmal conditions in factory farms. 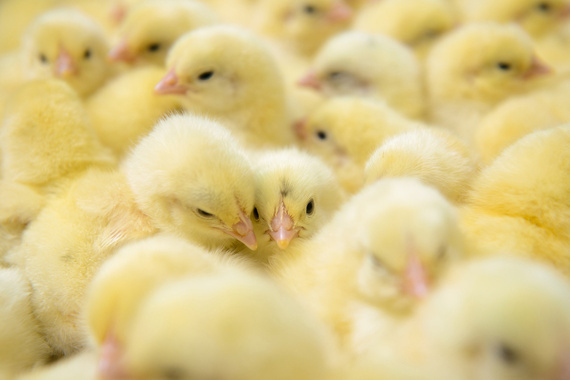 Even free-range establishments involve suffering and premature death; particularly extreme is that chickens raised for meat are killed at around seven weeks of age while they are arguably still babies. Based on these considerations and others, we are pleased to recommend Animal Equality, Mercy for Animals and The Humane League as our top charities. All three charities focus on farm animal advocacy. They impress us with their strategic approach to helping animals, their evaluation of their own programs and prioritization of resources, and their strong track records of success. We are confident that they will utilize marginal funds effectively, and recommend that advocates wanting to get the biggest return for their donation support their work. We provide a simple platform to support these charities on our website. For those who want more detail on our findings, we highly value transparency and feature a large amount of content on our site explaining how we reached our recommendations. This includes in-depth reviews on selected charities, detailed descriptions of the criteria we use to evaluate organizations, and many blog posts explaining our thinking. Additionally, we feature links on our transparency page to our strategic plan, prospective goals, board meeting minutes, budget, policies, and even a mistakes page. It's never an easy decision to support one group over another. However, we can all agree doing more good is better, and these charities offer truly outstanding opportunities to help animals. Ultimately each of us has control over the change we make in the world, and we owe it to the animals to ask ourselves difficult questions and make informed decisions on how to do the greatest good with our time and money. Visit this page to make a donation today, and share this article on Facebook and Twitter with the hashtag #GivingTuesday.